I am joining hands with my fellow bloggers to protest against Yahoo – India’s indifference towards copyright violation issues. It is sad and shameful that a corporate giant like Yahoo India which ought to set a good example, is stooping down so low. Webdunia and Yahoo India could take a leaf or two from the book of publishing etiquette. 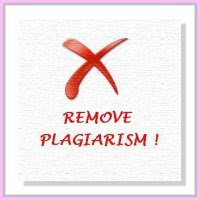 Plagiarism whether online or in a printed form is a serious offence. Yet, Yahoo India points its finger to it’s subcontractor Webdunia for content lifted from a blogger and used on it’s Malayalam portal. Yahoo! grow up and act like a mature organisation! Icon designed by Sandeepa of Bong mom’s cook book. I had to act fast and though the first dish to cross my mind was Potato Puffs, they have already been made and served at many a blog…So, it had to be something special for this special event…And that was how I chose Potato Halwa. I was optimistic of the texture of potatoes and that it would blend well with the rest of the ingredients. My recipe didn’t let me down. It came out very well. Soak cashewnuts in warm water for 5 minutes and grind to a smooth paste. Peel and grate the potatoes. Keep them immersed in water all the while, to prevent them from turning black. Rinse the gratings 5 to 6 times to remove the starch and set aside. In a saucepan, add 4 to 5 cups of water and boil the gratings till soft. Drain and keep aside. In another saucepan or in the same, boil sugar and water to one string consistency. Add the boiled potato, color, ground cashewnuts and milk powder and two tablespoons ghee. Keep stirring and cook till the mixture comes together as a mass. Add the rest of the ghee and stir. Keep stiring till the halwa starts leaving out ghee. Take it off heat. It can be transferred to a dish to be moulded or can be served as such. 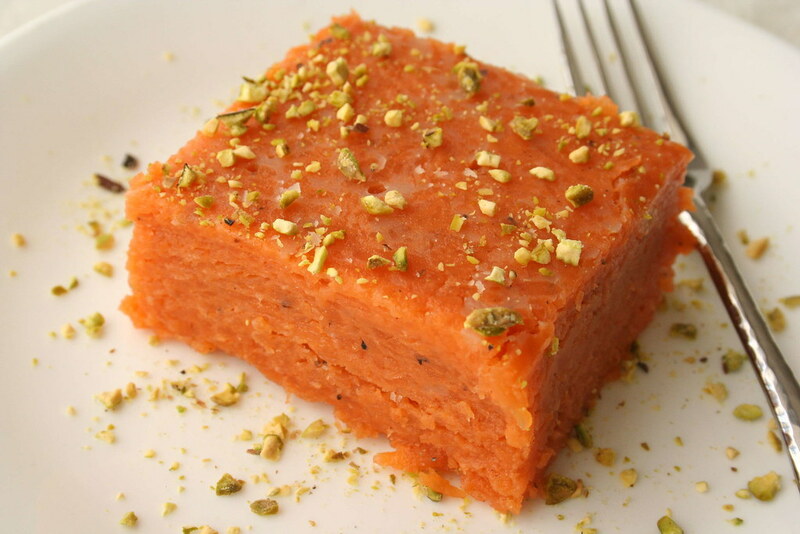 Addendum: Check out another version of Potato Halwa at Anisha’s blog!